Think of Tenerife and most people imagine golden beaches, long hot summers and lots of tourists. Tenerife does have all that but there’s so much more to the island, not least what can be found underwater. The largest of the seven Canary Islands, Tenerife is located in the North Atlantic Ocean off the west coast of Africa. Tenerife has an intriguing mix of black and golden sand beaches, lively resorts, traditional Canarian villages, a volcanic inner landscape dominated by towering Mount Teide and tropical forests. Its 350 kilometres of coastline make the island one of the best places in Europe for diving. Tenerife has over 50 dive sites offering an abundance of marine life and a colourful and interesting underwater landscape of corals, caves and even shipwrecks. The island has numerous dive schools all offering lessons and diving trips. The dive schools of Aqua-Marina, Ocean Trek Diving Centre, Atlantic Divers, Tenerife Dive, Los Gigantes Diving Centre and Island Divers all have PADI and BSAC certified instructors enabling novices, advanced divers and everyone in-between to experience excellent diving in Tenerife. Diving holidays to Tenerife are perhaps less well known than some other destinations in Europe, but the island does hold its own for experiences on offer. 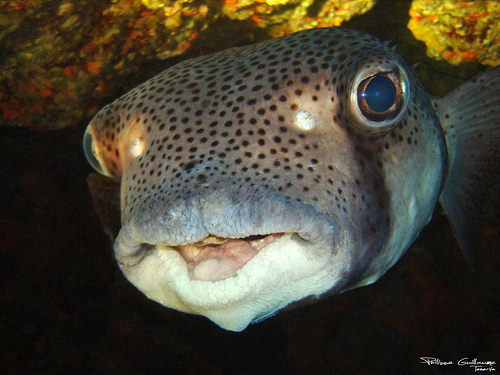 Of all the dive sites in Tenerife three of the best are The Rays at Los Chuchos, The Condesito Shipwreck and the Palm-Mar Cave. These three diverse sites are suitable for all abilities with each offering something unique. 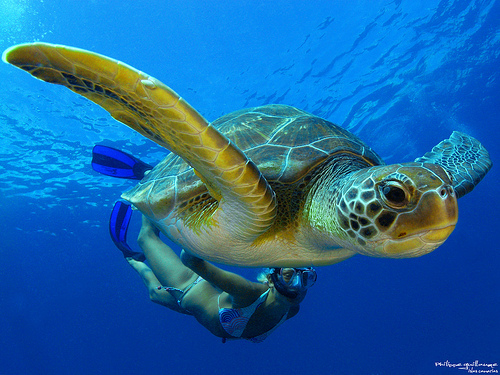 However, the one thing they have in common is stunning underwater scenery. Drop 17 – 21 metres through clear blue water to a sandy floor and you can spot five different species of rays including large sting and eagle rays and smaller bat rays. Divers can hand feed the rays and there are often more than 20 at a time swarming around the small wreck at the centre of the site. Look out for groups of silver jacks and even the relatively new resident turtle. The exceptionally clear water and beautiful underwater landscape of this dive site is a dream for photographers. 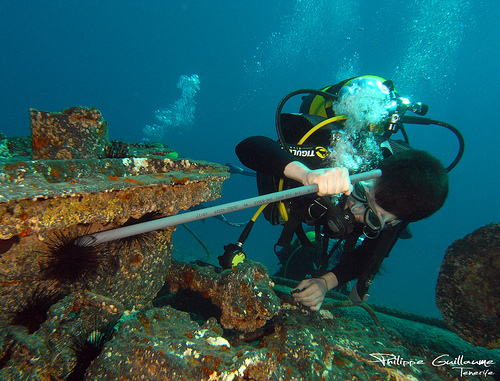 Take a 10-minute boat ride 3km from the harbour at Los Galletas to reach the Condesito shipwreck. The engine room, hull and cabin are still intact 30 years since the ship sank, and boxfish and trumpet fish swarm in and out of the wreck and around the corals. Moray eels can be spotted hiding in the hull, and if you head away from the wreck to sandy areas you can see Indigo Damsel Fish, octopus and even stingrays swimming within a beautiful underwater garden. Only 10-minutes from Las Galletas and the popular holiday resort of Los Cristianos is Palm-Mar Cave, which is locally known as Cuevo Del Palm Mar. 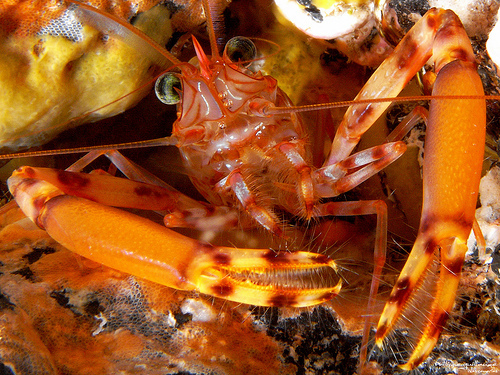 Suitable for advanced and deep sea divers, Palm-Mar Cave is not a site for the inexperienced. From the boat anchored above the cave, divers can drop 16 – 18 metres down a wall passing resident moray eels – keep an eye out for yellow leopard spotted morays. The water at this site is crystal clear allowing divers to see into the dark mysterious cave but it’s advisable to only view the cave from the outside. The cross at the cave entrance is a stark reminder of the divers who have lost their lives within the uncharted cave system. There is however plenty to see outside the cave. Dive deeper past a couple of impressive rock formations and the underwater world opens up revealing Morays Morena, spider crabs and Damsel Fish. If you’re lucky you may even spot large Yellow Nudibranchs, recognisable by the bright yellow stripe on their bodies. Whatever your level of diving experience is from complete beginner to advanced, the dive sites off the coast of Tenerife offer something for everyone. The Rays, The Condesito Shipwreck and Palm-Mar Cave each offer something unique for divers and are the top three dive sites in Tenerife due to their underwater beauty and diversity of marine life. Written by K Frost, part of the travel writers team behind the easyJet holidays website where you can find more information on Tenerife holidays, ideal if you’re planning holidays to Costa Adeje, Los Cristianos and Playa de las Americas. This entry was posted in Europe, Featured, Scuba Diving, Travel, Water Sports and tagged Canary Islands, Scuba Diving, Tenerife, Tenerife Dive Sites. Bookmark the permalink.